The Pet Wiki > Dogs > Dog Behavior > Does Your Dog Chew Wood? December 12, 2011 Comments Off on Does Your Dog Chew Wood? 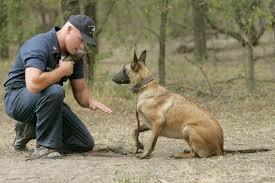 Some dogs may exhibit very strange chewing and eating behaviors and that includes putting wood on the menu. 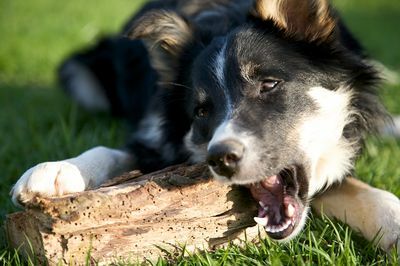 While there have been studies about why dogs chew wood, there is a lot of speculation, but only theories. One reason suggested is that in the wild, dogs chewed wood to appease their hunger when the prey they fed on was not available. Perhaps they use wood-chewing to clean and/or sharpen their teeth. Another reason put forth is that wood may have some medicinal qualities that satisfy a need. Finally, it is believed that wood has a meaty flavor, particularly when wet, which dogs find very attractive. Dogs don’t have as many taste buds as we do – 1700 to the 9000 in humans. But their sense of smell is so much keener than ours. They can detect sweet, sour, salty and bitter with their smell sense. While they can’t distinguish subtle tastes, if the smell is not offensive to them, they will eat things that would disgust us. Case in point – dogs often eat the feces of other animals, a good reason to clean the cat’s litter box regularly. Back to the subject of wood. Be alert when using toothpicks. Used toothpicks especially have a residual smell and taste on them which dogs find delicious. The danger is that toothpicks can become lodged in the mouth and gums and cause serious injury. So be sure to dispose of toothpicks where your dog cannot reach them. 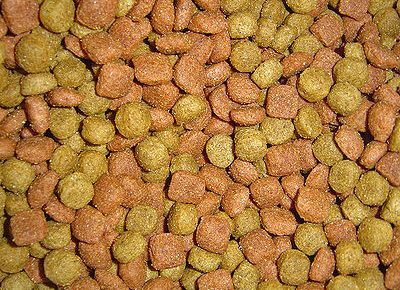 However, all of this does not explain why some dogs are such finicky eaters. My German Shepherd dog, Quanah, won’t eat anything unless she smells it first. My Pit Bull mix, Murphy, will inhale just about anything remotely edible. So much for theories.